The Building is in front of Kyoto Station, on the site of the former department Store. The area boasts places of historical interest, including Higashi Honganji Temple and Shosei-en Gardens. The building is a large commercial complex with some 90 tenants, of which the major electronics retailer Yodobashi Camera is the anchor. 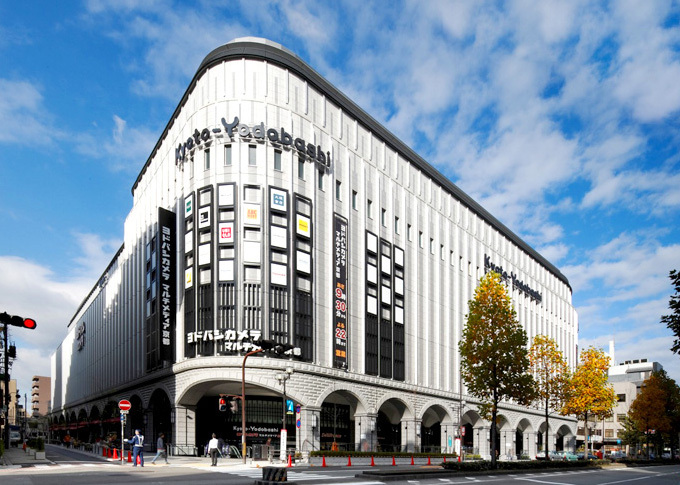 The building's facade is similar to that of the major Yodobashi Camera stores in Umeda (Osaka) and Akihabara (Tokyo), yet it meets Kyoto's traditional design values with its delicate, vertical ribs and a motif evoking the latticework of traditional Kyoto-style townhouses. The heavy masonry arches incorporate colorful stained glass scenes of Kyoto's four seasons, which are juxtaposed against the stately stonework. The vaulted walkway and exterior creeper-covered wall offer Kyoto's citizens a high-quality environment that sets Kyoto Yodobashi apart from other large electrical-goods stores.